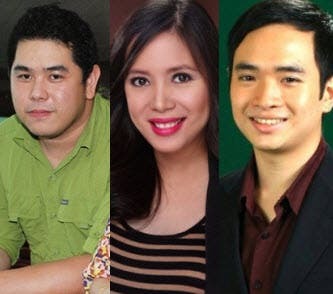 Journalists of ABS-CBN News and Current Affairs, the country’s largest and most trusted news organization, have been awarded prestigious international journalism fellowships and scholarship to gain training, knowledge, skills, and exposure to today’s global news media landscape. Health beat reporter and DZMM’s “Magandang Gabi Dok” anchor Nina Corpuz made it as the only Southeast Asian journalist chosen to participate in the United Nations Foundation’s 2013 Global Issues Press Fellowship program in New York City, which will expose her to the latest information on pressing global issues. The press fellowship, which takes place during this year’s UN General Assembly, will also provide participants exclusive first-person access to the world’s top experts, policymakers, and leaders such as Al Gore and will.i.am. “I hope to use this opportunity to share our Philippine experience and bring to the international stage our concerns and efforts in health care. I also look forward to comparing notes with my fellow health journalists from around the world to give me a better understanding of global health issues and how it affects us Filipinos,” said Corpuz. ABS-CBN’s Senate beat reporter Ryan Chua, meanwhile, was awarded the prestigious Chevening scholarship, making him the only media practitioner among this year’s batch of eleven scholars. Chua is currently taking his Master’s degree in International Journalism at the City University London. “I plan to do this by regularly pitching and pursuing stories that matter to the Philippines and the rest of the world,” said Chua. Jeff Canoy, who reports on defense and disasters for ABS-CBN, is currently attending Malaysian Press Institute’s International Journalism Fellowship in Kuala Lumpur to specialize in multimedia journalism. The fellowship, Canoy shared, trains participants to become a one-man team during coverage and deliver news on different media platforms. “The fellowship is all about the future — where journalism is heading — one-man teams covering the news equipped with tech-savvy skills and strong sense of ethics. It’s been daunting and a lot of hard work but the fellowship has taught me a lot of what I could do in my chosen craft in terms of telling stories in various platforms. 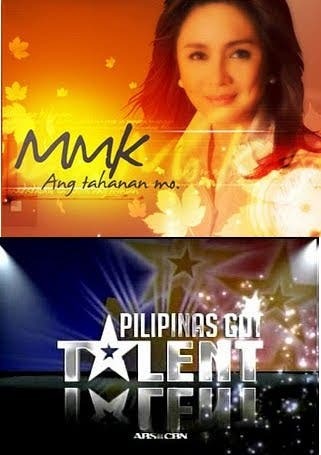 ABS-CBN News is all about integrating platforms now so the fellowship is a perfect fit,” said Canoy. In August this year, Paul Henson, executive producer of ABS-CBN’s late-night newscast “Bandila” flew to the United States to join the other nine fellows in the World Press Institute’s international journalism program. The program has immersed Henson in US governance, politics, business, media, journalistic ethics, and culture through studying, visiting the headquarters of major news organizations, and interviewing top journalists, editors, government officials, leaders, and social activists throughout the country. “Interacting with top global journalists and industry leaders is such an intellectual and cultural stimulation. I take pride in being a Filipino journalist, but this program also makes me realize that Philippine media has so much more catching up to do to become mature and responsive as an industry and in step with the changing times. This program is powerful tool to enable me to become a better journalist,” shared Henson.